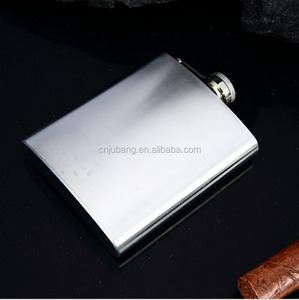 2 YRS Changsha Bingo Liquor Co., Ltd.
Our main products are Whisky, Vodka, Brandy, Gin and so on. Our wine is improved on the basis of the grey goose process. Also they participated in the international spirits challenge and won the gold. 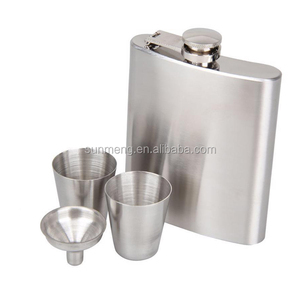 &middot; It was made of high quality food grade stainless steel and no joint less structure. &middot; Anti-corrosion Special coating which imported from Germany. Non-leaching and toxin-free. 1 YRS Jiangxi Jinlin Light Industry Products Co., Ltd.
2 YRS Jinhua Sanmeng Trading Co., Ltd. 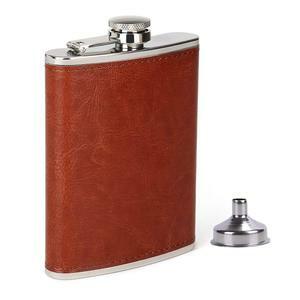 Features: &bull; Brand New High Quality &bull; This stainless steel hip flask is easy to carry and take your favorite wine with you wherever you go. 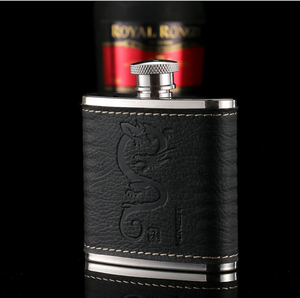 &bull; Smooth surface design make the liquor flask do not hurt your hand in accident. 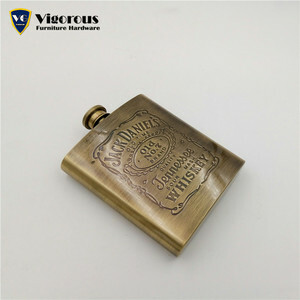 &bull; Made of the durable stainless steel material, this hip liquor flask is ideal for carrying your favorite wine, like whisky, vodka and so on. 2 YRS Jinhua Great Metal Products Co., Ltd.
Q:Can we use our own logo or design for sticker9 A:Yes we can Custom your logo on the product and put sticker on the products. Q:What's your term of payment9 A:30% deposit in advance,the balance is paid before shipment or Upon BL copy. Q:Can I get a sample9How long is the sample lead time9 A: Yes we provided the existing sample for 2-3days, If you want your own designs, it takes 5-8 days,subject to your design whether they need new printing screen ,we will response fast to your request. 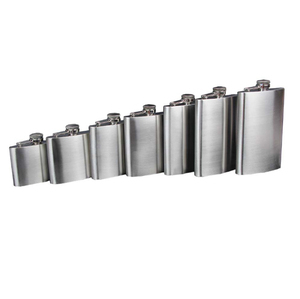 5 YRS Shanghai Lizoo Commodity Co., Ltd.
1 YRS Hangzhou Gold King Materials Co., Ltd.
6 YRS Yongkang Hexu Hardware Products Co., Ltd.
upmarket stainless steel flask wooden boxe packed ITEM HX-HF--1006 Packing white/ colour / gift box Capacity 6oz ( capacity optional) Qty/Ctn 100pcs/ctn Material stainless steel Lead time 15-20days Construction single wall Supply Ability 6000pcs/Day MOQ 500sets Sample time 1-2days Quality FDA,BPA Free,CA65,LFGB FOB Ningbo or Shanghai OEM / ODM We do professional work with OEM/ODM Products in past year. In order to meet the need of different customer. We have been committed to developing a variety of new styles for enhancing or international competitiveness We still positively support our customer by OEM/ODM We can provide our exciting design for FREE We are flexible and stable supplier to work together You satisfaction is our unremitting pursue . 5 YRS Jinhua Great Metal Products Co., Ltd.
3 YRS Xuzhou Kelaimai International Trading Co., Ltd.
2 YRS Wuxi TP Inox Co., Ltd.
7 YRS Xiamen Sun Red Import & Export Co., Ltd.
5 YRS Yongkang Dowell Houseware Co., Ltd.
3 YRS Zhejiang Taifu Wear-Resistant Materials Co., Ltd.
5 YRS Yongkang Topdennis Metal Products Co., Ltd.
2 YRS Bingyi Industrial (Shanghai) Co., Ltd.
2 YRS Ningbo Yinzhou Onlyest Commodity Co., Ltd.
Alibaba.com offers 54,492 liquors exporters products. 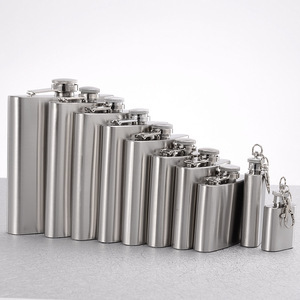 About 42% of these are bottles, 5% are hip flasks, and 1% are vodka. 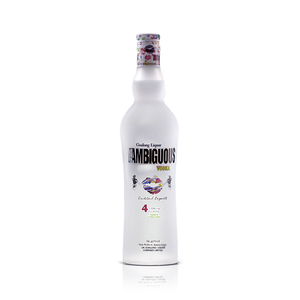 A wide variety of liquors exporters options are available to you, such as clear vodka, mini, and flavored vodka. You can also choose from bag, bottle, and can (tinned). As well as from corn, barley, and wheat. And whether liquors exporters is free samples, or paid samples. 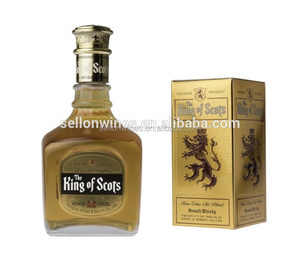 There are 54,492 liquors exporters suppliers, mainly located in Asia. The top supplying country is China (Mainland), which supply 100% of liquors exporters respectively. Liquors exporters products are most popular in North America, Western Europe, and South America. You can ensure product safety by selecting from certified suppliers, including 8,883 with ISO9001, 4,746 with Other, and 1,873 with ISO14001 certification.